Resurrecting a gaming icon is never an easy task, but when the developer responsible is the mighty Rockstar the pressure is ratcheted up even further - something that everyone attached to Max Payne 3 is well aware of. 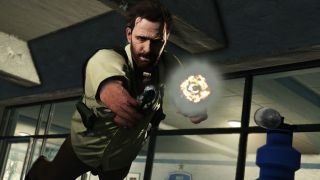 Better known for their open world games like the phenomenally popular Grand Theft Auto series and Red Dead Redemption, Rockstar has been developing the latest chapter in Max Payne's turbulent life for years, mindful that reputations are on the line. The original Max Payne was a PC game which hit the ground not so much running as diving and rolling while loosing off several shots in the much imitated but rarely bettered bullet-time that came to define the series. Developed by Remedy Entertainment, Max Payne was released in 2001 and quickly garnered critical and popular acclaim for its noir leanings and gruff titular hero. A sequel arrived in 2003, but sold poorly despite decent reviews, and the series also chalked up the [possibly back-handed] compliment of a bad Max Payne movie starring Mark Wahlberg. Despite this, Max Payne has carved himself a niche within the sentimental world of gaming, and that legacy means that Rockstar's Max Payne 3 not only has some mighty large shoes to fill, but also a wealth of background and expectations as to how the game will play. Obviously the key to success rests on how Rockstar brings the dynamic shoot-dodges, comprising rolls and dives, and integrates the wealth of cut-scenes into the non-stop action. That is achieved partly through NaturalMotion's Euphoria engine, mixing animation and physics and blending them in a way that makes Max Payne move and act realistically (in the context of an action hero at least). That, along with the seamless integration of the many cut scenes brings a whole new level of immersion to Max Payne 3; with no loading screens even the cut-scenes afford only momentary pauses, often launching you straight back into action without any warning. Speaking to TechRadar, NaturalMotion's Torsten Reil explained how the Euphoria engine works hand in hand with other parts of the game. "It's worth pointing out that we are really running two systems because a huge part is played by Rockstar's Rage system as well the engine and, of course, the physics engine," said Reil. "But Euphoria runs on top of that and essentially controls the physical characters that, at a base level, are dealt with by the physics engine. "On a fundamental level that system works across all the characters that are simulated." Reil started his relationship with Rockstar with the seminal Grand Theft Auto IV, giving his vision a thrilling start in the gaming world. "That [involved the] physical accumulation of the body, the muscles but also the nervous system that controls humans. We had simple prototypes that were essentially running like stick figures but it kind of worked. "We thought it would be amazing if we could make them run in real time on the console and have, for the first time, fully interactive characters in a game. "We started talking about using the technology for Rockstar's upcoming games, and obviously that included Grand Theft Auto IV," he continued. "For us that was a dream come true; the biggest game franchise that we could imagine, and a particularly good fit because GTA is all about creating living breathing worlds – that's the case for all Rockstar's games. "So that kind of approach and the commitment to quality and at the same time what we were trying to in terms of creating living, breathing characters was, for us, a great combination."